Glad you got a chuckle from it! In addition to being funny, it is not an all that uncommon practice. I personally know of several instances and may have even participated in such events. There is something about single malt Scotch that cements friendships. Both cement friendships that’s for sure! Great stuff Val. Have you removed your like button? Not sure if there’s something wrong on my side. Thanks Don! I haven’t adjusted anything … not sure what could have happened to the Like button. Loved it ~> Scots are frugal in all the best ways! You helped me lighten up today, Val, as usual! Glad you feel a bit lighter Ann! 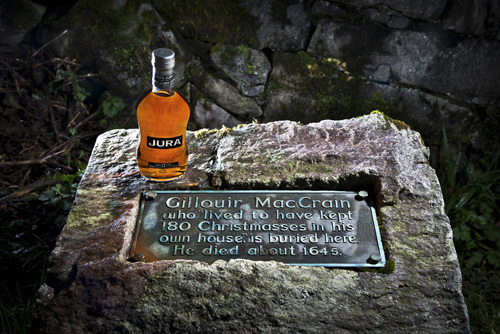 A wee dram goes a long way over a long time! “180 Christmasses in his own house”? Was he seeing double? Hamish is my kind of Scot! Thanks for the giggle, Val. Haha, good thinking on his part, waste not, want not…. typical Scot! By the way, where has your Like button gone? Indeed it does, dear Val! Ha! THAT man servant was brilliant! Glad you got a chuckle Elizabeth!